Please fill out this form so we can connect your availability and skills to our volunteer working groups. Please let us know what skills you would like to contribute. Air Force veteran Reality Leigh Winner has been charged under the Espionage Act for leaking a report documenting cyber attacks upon U.S. election infrastructure. This report set off a wave of concern and scrutiny regarding the security of the upcoming 2018 elections, and has spurred federal, state, and local officials to strengthen the integrity of our democracy. Despite the public benefit of the released information, Winner’s defense has faced onerous restrictions. The court ruled that the classified document and all related articles, including public media reports, were not going to be admissible as evidence to the jury. This effectively denied the jury an opportunity to not only understand the impact of the document, but the substance of the case itself. This effectively denied Ms. Winner a fair and open trial leaving her no better choice than to plead guilty and accept a plea deal. Reality Winner has received the harshest sentence ever to be handed down to a whistleblower. We ask that you sign the petition because we believe Reality does not deserve to be labeled as a felon for the rest of her life for providing a public service. 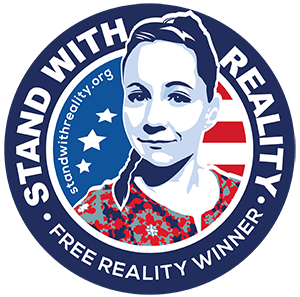 Reality Winner deserves a pardon.